[SatNews] An innovative new mobile app for farmers has won the UK leg of the European Satellite Navigation Competition. 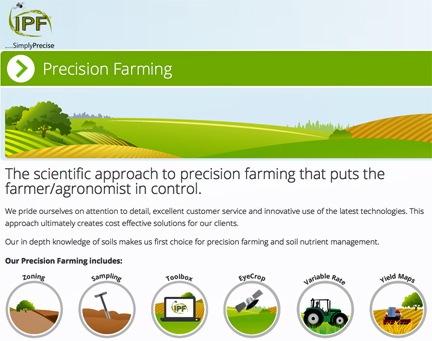 The ‘seeCrop’ app, developed by Intelligent Precision Farming (IPF),will allow farmers to pinpoint and identify disease, pests and weeds within fields, and then integrate this data with precision farming software to create targeted treatment plans, saving time, money and unnecessary applications. 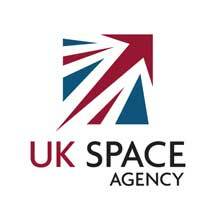 As the UK winner, IPF will receive £5,000 and extensive business support from the Satellite Applications Catapult, Innovate UK, the UK Space Agency, the European Space Agency and Marks and Clerk. To rid crops of a disease, pest or weed, farmers typically treat an entire field with a crop protection chemical even if the problem is only found in a specific area. The new app will help farmers to record the precise location and type of disease, pest, or weed causing the problem. Integrating this data with IPF’s precision farming package they can build bespoke chemical prescriptions across a single field using spray equipment with in-built GPS receivers to adjust the rate of inputs automatically depending on where the tractor is in the field. Second place of the UK leg of the competition was awarded to 2012 ESNC competition winner iGeolise, who will receive a prize fund worth £5,000 (£1,000 cash and business support package) for their ‘Meet-Up’ service which extends their innovative travel time platform (making maps searchable by travel time rather than distance) to enable consumers and businesses to identify the optimum location for meeting, therefore minimizing travel time, cost and CO2 emissions. Third place was awarded to Stevenson Astrosat who will receive £1,000 worth of business support for ‘Expedite,’ a location system for explorers, comprised of wearable technology that continually transmits their position to support and rescue staff without the need to remove clothing (particularly in polar conditions) to operate satellite navigation receivers and phones. The Expedite system will also be used as a remote health monitoring system transmitting each user’s vital health statistics back to a control center. Catherine Mealing-Jones, Director for Growth at the UK Space Agency, said, "New European satellite missions from Earth observation Sentinel satellites to the new navigation and positioning constellation Galileo, means that access to current, accurate imagery and data will only increase. The ESNC continues to be a successful vehicle for encouraging new, ground-breaking ideas that exploit this wealth of knowledge and the breadth and scale of entries in 2014, proves that we are just at the beginning of this data revolution."